TOPAZ HORIZON: My laundry room will make a perfect WAHM office! Here's why. 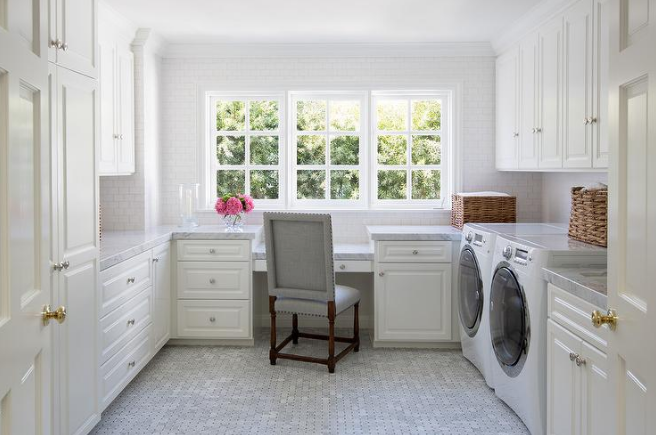 My laundry room will make a perfect WAHM office! Here's why. Hi mamas and welcome to the first weekend of 2019! I'm still on vacation mode and cherishing this last weekend before the year really starts. This year, I plan to make Fridays on the blog Career Fridays. We'll talk about anything and everything about being a working mom. Today, I wanted to share why I'm considering to make my laundry room also my home office. I've been working from home since 2013 and I know one thing for sure: I can't work from home! Of course I do but through the years I've been moving my desk here and there, looking for the perfect place to work. I haven't found it yet... Or maybe I have. I just haven't worked in that particular room yet—the laundry room. 1. It has a door. It is SO HARD to work when there are so many children, er, distractions everywhere. When I'm in the living room, the TV distracts me. When I'm in the bedroom, I just want to sleep. When I'm in the dining room, I want to eat. And then there's the endless noise and mess that distract me from focusing on work. But a door will shut out all visual and aural distractions! 2. It's near where I need to be all the time. I'm a mom so I'm always in or near the kitchen. I'm not saying the kitchen is where women belong. I'm saying when kids live with you, they're almost always asking for something to eat, hence me always in the kitchen. My laundry room is right beside the kitchen. If ever the kids do need me, they know where to find me. Plus, my favorite chore is doing the laundry. I can work and do the laundry at the same time! 3. It's bright and sunny with a fantastic view. I'm lucky my laundry room is big. It also has a huge window that lets in so much light and air. My view also happens to be Forbes Park so when I look out the laundry room window, I see lots of green. Lots of gray, too, okay, but there's green! Look at the bright side, folks! I just know that if I put my desk by that big sunny window will inspire me as I write. Just look at all the lovely photos in this post. 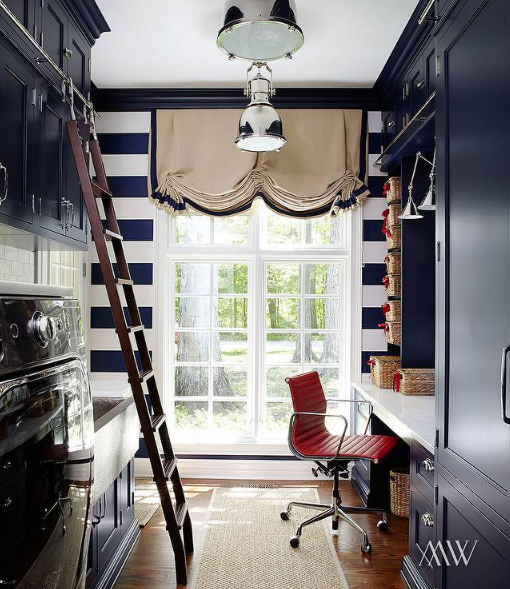 Isn't a laundry room/home office a fantabulous idea?? When Vince and I talk about a house-house, we talk about having our own rooms to create. An office/garage/shed for him where he can put all his books and music and things he tinkers with. An office for me that has the me I don't need to share with anyone, too. But our life is here in the city so a house-house isn't anywhere on the horizon. So I'll just look for a space here at home where I can work in peace. That place, I'm convinced, is my laundry room. I hope I can renovate it soonest! 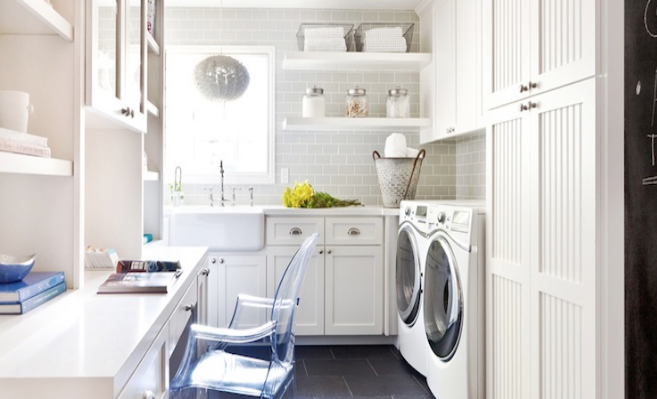 how I would love to have my own laundry room slash office too!